Hoy Tod Oyster - Another kind of Hoy Tod. But today we choose to use Oyster for main ingredient. We can guarantee for the taste of this menu. 1. Mix flour, fried flour, Miller's Arrowroot Flour and cold water. Stir to combine. Add oyster, spring onion and mix them well. 2. Heat the pan. Pour vegetable oil into it and wait until oil hot enough. Then add the mixture of flour and mussels down. Use spatula spread the flour all over the pan. Fry until golden crisp and turn upside down. 3. When done-frying, set aside at the side of pan. Fry bean sprout. 4. 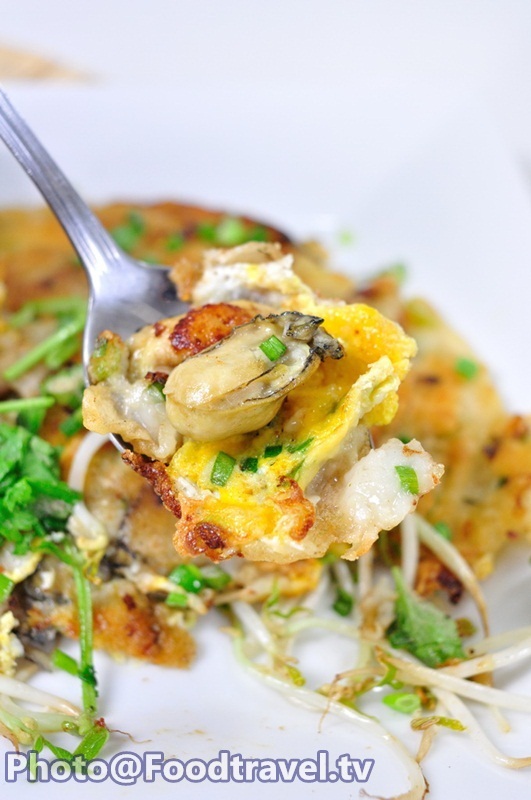 Plate the bean sprouts on a plate, follow with fried oyster. Sprinkle with spring onion, coriander, cayenne pepper. 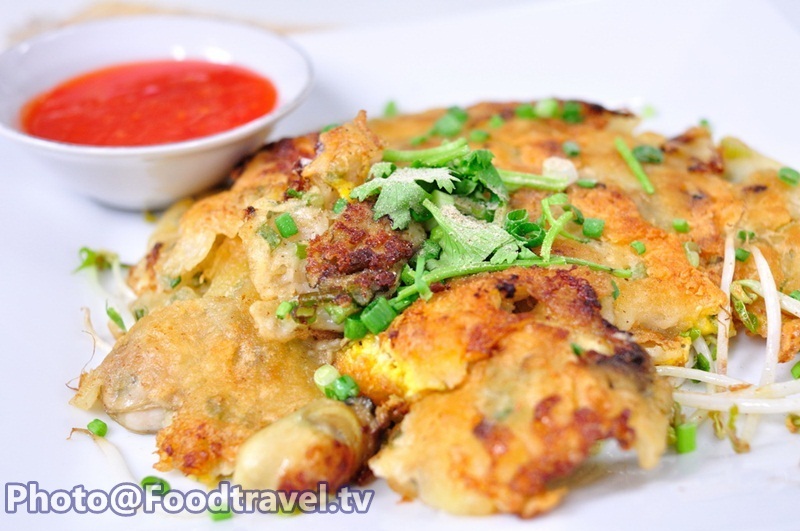 Serve with fried oyster sauce sauce. Ready to eat. 1. Mix flour, fried flour, Millers Arrowroot Flour and cold water. Stir to combine. Add oyster, spring onion and mix them well.